I have recently purchased a few nail varnishes and decided to review one of them. 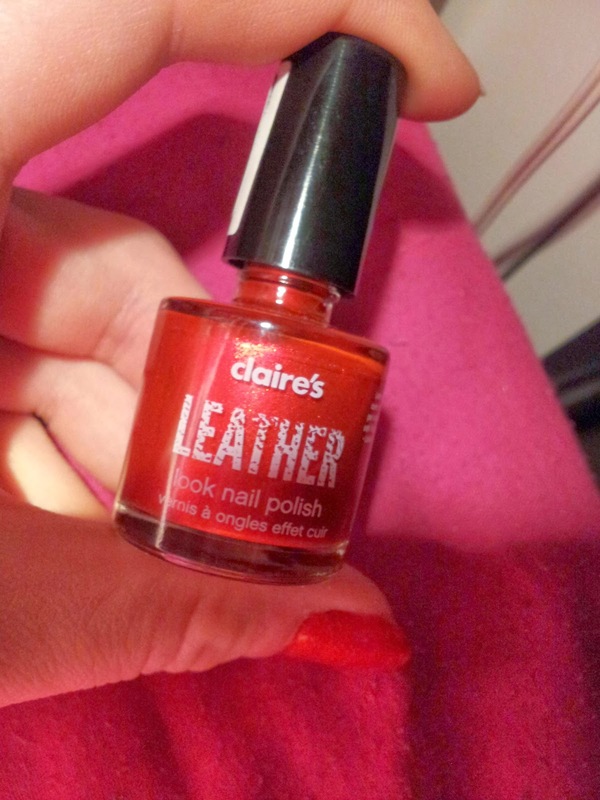 I have bought Claire's leather effect in bloody red. 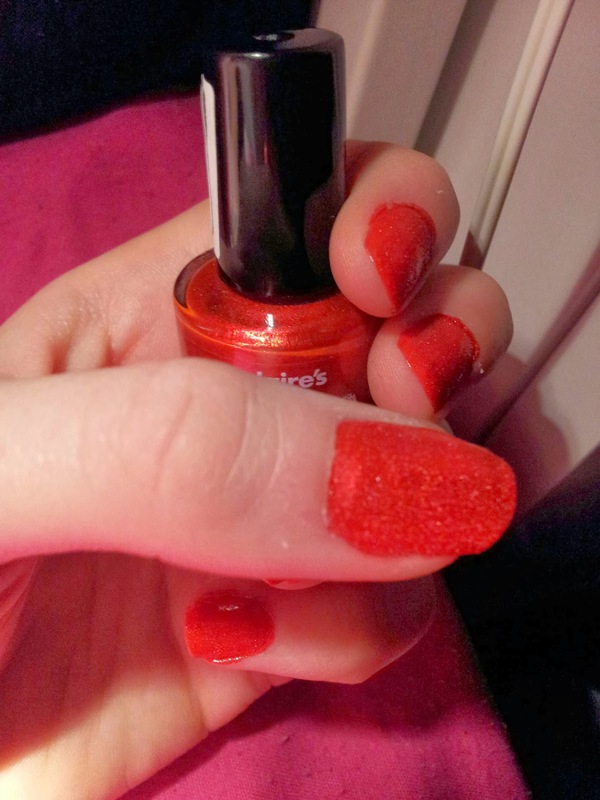 I was walking through a shopping centre and couldn't help but notice a big '£1' sign on all the nail varnishes at Claire's. I was so excited because it was such a bargain! However I only chose six different polishes as those were the ones that have really caught my eyes, and me being a beauty freak, I already own about 50 shades haha. Anyway, here's what I personally think of this great bargain. A cute, round glass bottle. The cap is plain and black, however with the glass bottle being very clear, you can see all the little fibres of the actual varnish. It's very shiny and caught my eye straight away seeing as I'm obsessed with shiny things! 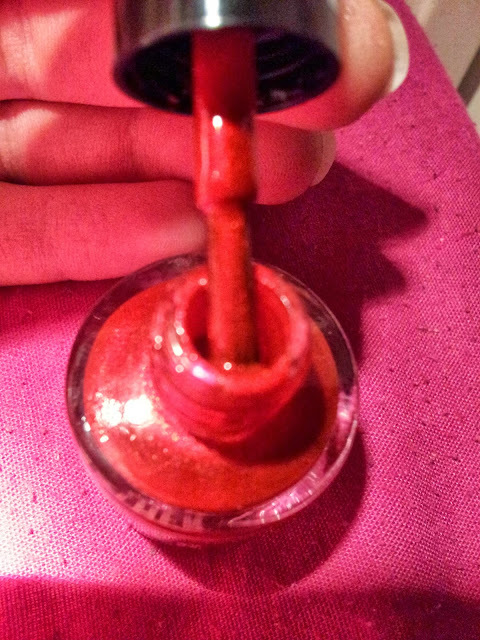 I only needed to apply one coat of this polish as it covers the nail very well. As the colour is rather dark, it usually would need aroun 2-3 coats, but because it has a thick textured with micro beads to create the leather effect, it covers very well. I am pleased with the outcome. I am very happy with the purchase of this product. It definately lives up to standard. 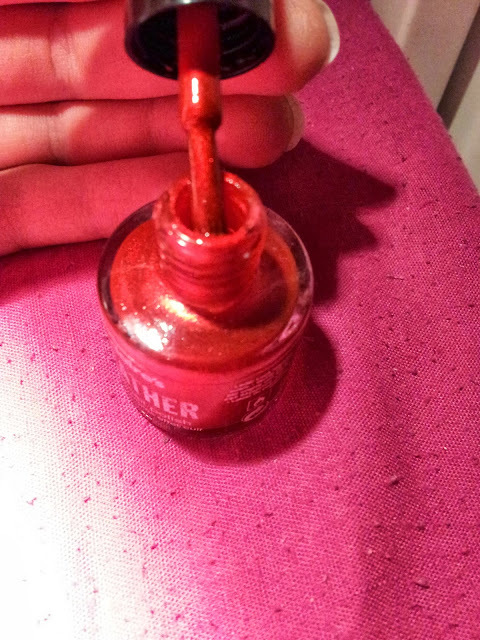 The original price for the nail varnish was £4.50, so knowing how much of a good product it is, I would pay the full price any day. 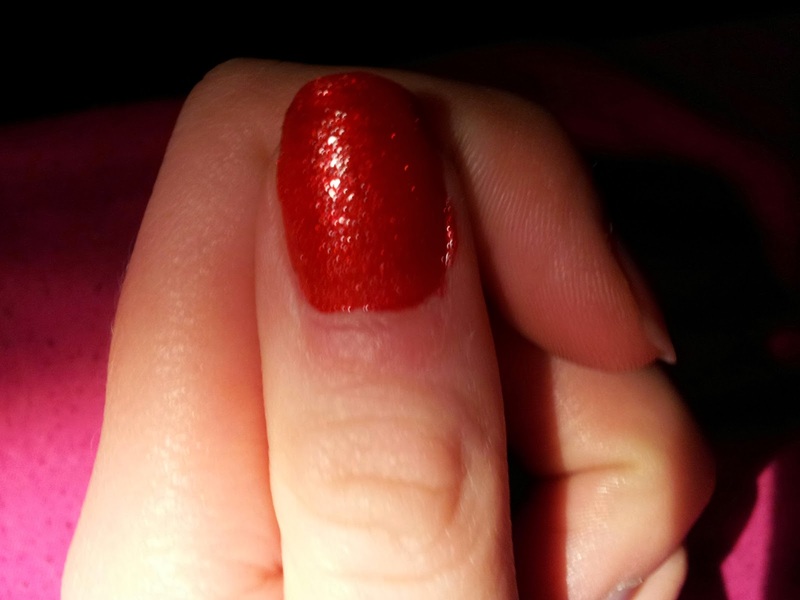 When I first applied the product it felt quite smooth and definately looked like a gel polish. The texture of the product after the application is quite rough and feels like a grater as it creates little beads/bumps on the nail when dry. It's an anti-chip nail varnish, and it lasts without chipping for about 4 days, which is really good for a one coat nail varnish. 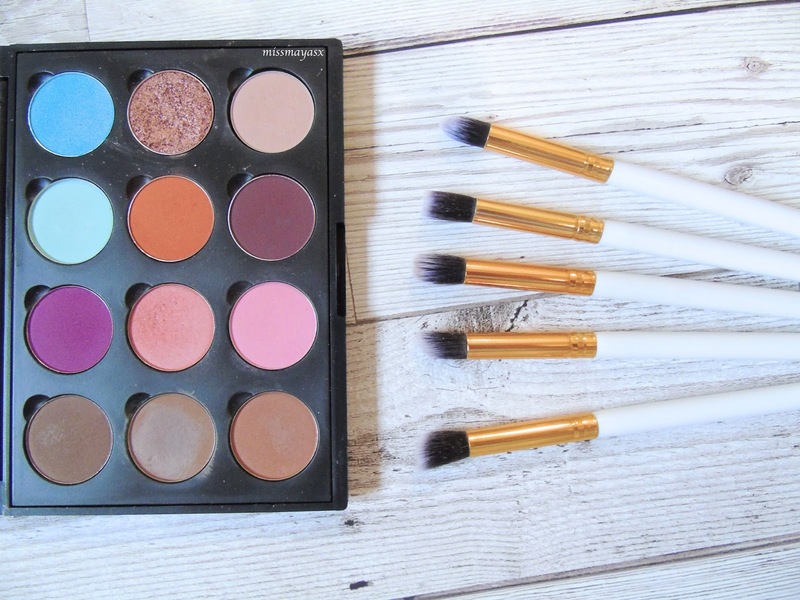 Overall, I would rate this product with 8/10, because of it's quality and price.